Think of a library and you’ll likely conjure up images of a building stuffed with dusty books and a disciplinarian ready to “shush” you for the slightest decibel-related infraction. That image hasn’t changed for decades, even though libraries have. Libraries are repositioning themselves as cultural and learning centers for the digital age. Many lend out mobile hotspots, often for weeks at a time. Others offer classes in the latest tech, such as 3D printing and music-editing software. And libraries have some of the savviest social media editors around. On Sunday, libraries across the country began celebrating their evolving mission during National Library Week. Melinda Gates serves as honorary chairwoman of the annual event, which is sponsored by the American Library Association. Gates is an appropriate choice: She and husband Bill began funding computers, internet access and software for libraries in low-income communities through an organization they established in 1997. 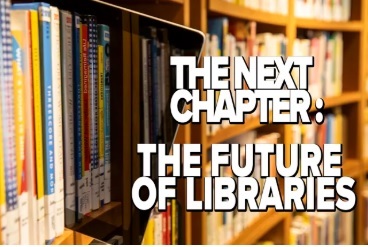 CNET used the annual celebration to examine how libraries are changing. We found institutions adapting to the new world, addressing new needs and discovering new challenges. The Broward County Libraries in Fort Lauderdale, Florida, are a good example of what the modern library looks like. The library has established lounges, called Creation Stations, to give visitors access to tech, as well as to teach digital skills. They offer classes and workshops in basic activities, like creating online resumes and coding. And Broward County is finding ways to bring library services to patrons who might never set foot in the building. “When people think of a place or a space, or they need something, the library [should be] the first thing that comes to mind,” Kelvin Watson, Broward County Libraries director, says in his office in the Main Library. The Library of Congress, the world’s biggest library, is also embracing technology in order to make its massive collection available to everyone. Scanning the collection is a mammoth undertaking. The Library’s 826 miles of shelving house just some its 170 million items. Still, Librarian of Congress Carla Hayden says it’s a part of her institution’s cultural mission. Libraries are also using social media to reach their patrons. The New York Public Library maintains an active presence on Twitter and Instagram, and created new versions of classic novels to appeal to a generation of readers that are more likely to scroll through a text message than turn a page. A San Francisco Public Library campaign prompted patrons to post photos of their library cards. The University of Liverpool Library’s snarky Twitter account set of the #shelfwich hashtag after employees found partially eaten sandwiches next to books. New technology, such as e-books, has also created an environment that can be at odds with the traditional role libraries have played as champions of privacy. E-booksand audiobooks, now standard at libraries, make protecting privacy harder. Titles are usually provided through private companies, which can access your data. And today’s software can create more comprehensive records about you than a simple list of the books you checked out. That creates challenges for librarians, who have championed privacy, even standing up to the US government over requirements in the 2001 USA Patriot Act to share records with law enforcement. Given how much of our lives has moved online, providing internet connections for patrons is another increasingly important part of library operations. The New York Public Library has rolled out a host of services aimed at closing the digital divide, including computers and laptops at its locations, free Wi-Fi and loaner mobile hotspots. Three quarters of the people who check out the hotspots live in households earning less than $25,000 a year, says Tony Marx, the library’s president and CEO. Libraries also serve as human go-betweens for prisoners and information that’s often readily available online. The San Francisco Public Library’s letter-writing service, called Reference by Mail, handles questions from the incarcerated population in the western half of the country, while a similar program at the New York Public Library handles the eastern half. A third library, the Harris County Public Library in Houston, takes letters from prisoners in Texas. Some of the inquiries are serious, such as requests for information about transition to life outside prison. Others are light, such as requests for song lyrics. CNET also looked at ways you can get free, legal books online and how to read e-books and magazines from your local library.